New York Times: “… The (joint US-Philippines military) exercises included mock beach invasions along coastlines facing China, whose military buildup and territorial claims in the South China Sea have alarmed some of its neighbors and jumpstarted the United States’ military “pivot” to the region. That American policy, which will include sending more troops and ships to the region, appears to have picked up speed in recent weeks. On Thursday, Japan and the United States announced what was effectively a compromise on Okinawa that calls for thousands of Marines to leave for Guam and Hawaii in an attempt to allow others to remain on the strategic Japanese island despite local objections. And on Monday, Secretary of State Hillary Rodham Clinton and Secretary of Defense Leon E. Panetta will meet their Philippine counterparts in Washington, the highest level meeting after months of talks to expand the American military presence in the Philippines. Ramping up the number of troops in the Philippines — even if they are rotating in and out from temporary bases — would still be something of a reversal for the nation after Philippine lawmakers years ago forced the closing of American bases, including the shuttering in 1992 of the Subic Bay Naval Station. The base, which had been a cornerstone of the United States’ military presence in Asia, was a casualty of some Filipinos’ sense that the facility served as a painful reminder of decades of American rule. via Philippines Role May Grow as U.S. Adjusts Asia Strategy – NYTimes.com. America continues with its strategy to encircle China in the Pacific, with military alliances not only with its traditional allies, Taiwan, Japan and South Korea; but also with Australia, India and the Philippines. Xinhua: “China successfully launched two satellites into space at 4:50 a.m. Beijing Time Monday, the 12th and 13th satellites for its Beidou global navigation and positioning network, the launch center said. 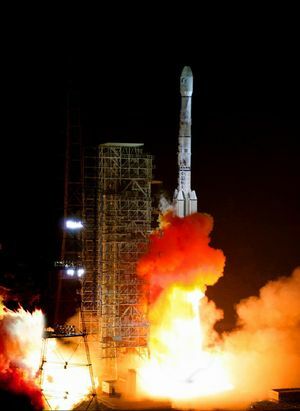 via China launches two navigation satellites – Xinhua | English.news.cn. China continues on its path to reduce reliance on Western hi-tech. The Guardian: “Made in China says everything, economically, about the last decade. Sold in China tells you everything about the next. 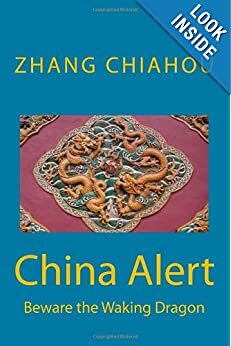 Recent output figures from China were greeted with concern after the country reported its lowest GDP growth for three years, although, at 8.1%, its magnificent compared to the UK’s double-dip recession. Still, there is much talk among economists about a “hard landing”, a “property bubble” and “bankrupt banks”. But there is one key fact to remember about the economy in China. It’s that the minimum wage is going up 15% a year, every year, for the next five years. Take a billion workers and give them a 100% pay rise. It changes everything. Within a generation, China is likely to displace the US as the biggest consumer market in the world. At Tianjin Port, the world’s fifth biggest, container ships used to export Chinese goods to the rest of the world but come back empty. Now they return with the finished and semi-finished goods from the rest of the world to satisfy a ravenous consumer appetite. In Tianjin’s vast factory zone, across the road from a Foxconn plant making the next wave of Apple iPhones, the Master Kong factory makes more pot noodles than anywhere else in the world. The huge automated production lines, with machine tools imported from Japan and Germany, churn out five billion noodle packets a year – enough to reach to the moon and back. All the raw materials come from China, all of the finished product is consumed in China. Its just one of 23 Master Kong plants on the mainland. Further south in the “groundscraper” and weirdly Hogwarts-esque Shanghai offices of Ping An, China’s second biggest insurer, 12,000 commission-led telesales agents make one million sales calls every day. It is the largest telemarketing operation on the planet, feeding on the explosive growth of domestic car sales. Last year 14.5m cars were sold in China – or 2m more than in the US, previously the world’s biggest auto market. Nine in 10 were to people who had never bought a car before. Ping An now insures 32m private cars, raking in premiums of £2.2bn 22.3bn renminbi a year. Four years ago, that revenue was below £100m. Just off outer ring road five in Beijing, a mundane average-income district, the Wu Mart hypermarket is perhaps an early indicator of how domestic consumption will grow. The store bears more resemblance to a Lidl than a Tesco but, unlike the oddly deserted luxury shops in the city centre, it is teeming. It’s instantly apparent that mid-range western brands are phenomenally popular with middle-income Chinese consumers. Shelf after shelf stocks the likes of Colgate toothpaste, Nivea, Quaker Oats and Snickers bars. via Chinas great leap forward – into the supermarket | Money | The Guardian. Extreme Technology: “According to reports from various industry sources, the Chinese government has begun the process of picking a national computer chip instruction set architecture ISA. This ISA would have to be used for any projects backed with government money — which, in a communist country such as China, is a fairly long list of public and private enterprises and institutions, including China Mobile, the largest wireless carrier in the world. The primary reason for this move is to lessen China’s reliance on western intellectual property. via China plans national, unified CPU architecture | ExtremeTech. Firstly, I’m not really surprised. As you may know China is developing its own GPS to remove its reliance on US technology – http://online.wsj.com/article/SB10001424052970203479104577123600791556284.html . If (God forbid) it comes to ‘real’ war, the US can apparently switch off GPS for civilian and unfriendly consumption! It has its own social media technology – http://www.mckinseychina.com/2012/04/25/chinas-social-media-boom/ . And it has even developed an iPad – http://www.huffingtonpost.com/2012/01/19/redpad-number-one-china_n_1215393.html . My own view is that the Chinese will select the architecture that suits its long term purposes best. That would be a combination of rational, systems-oriented reasons and emotive, political reasons. 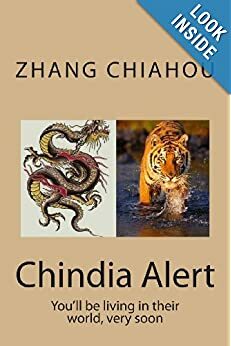 If the current top leadership is consulted, the former will have some leverage as 7 out out the top 9 leaders are all engineers by training and early experience (see – https://chindia-alert.org/2012/02/18/chinese-leadership-are-mostly-engineers/ ). New York Times: “The dramatic nighttime escape of a blind rights lawyer from extralegal house arrest in his village dealt a major embarrassment to the Chinese government and left the United States, which may be sheltering him, with a new diplomatic quandary as it seeks to improve its fraught relationship with Beijing. The lawyer, Chen Guangcheng, one of the best-known and most politically savvy Chinese dissidents, evaded security forces surrounding his home this week and, aided by an underground network of human rights activists, secretly made his way about 300 miles to Beijing, where he is believed to have found refuge in the American Embassy, according to advocates and Chinese officials. An official in the Chinese Ministry of State Security on Friday said that Mr. Chen had reached the United States Embassy, but American officials would not confirm reports that Mr. Chen had found shelter there. via Chinese Activist Chen Guangcheng Escapes House Arrest in China – NYTimes.com. Xinhua: “China and Russia have signed 27 trade contracts worth 15 billion U.S. dollars, Chinese Vice Premier Li Keqiang said here on Saturday. Li attended the signing ceremony of the contracts before a meeting on China-Russia trade and investment. Addressing the meeting, Li proposed that both China and Russia endeavor together to further promote their trade and economic cooperation. The two countries could expand their cooperation in various fields, including finance, direct investment, energy, mechanical and electronic products, he said. Russian First Deputy Prime Minister Igor Shuvalov also attended the meeting. via China, Russia sign 27 contacts worth 15 billion USD – Xinhua | English.news.cn. New York Times: “Prime Minister Wen Jiabao said Thursday that China wanted to double trade with the countries of Central and Eastern Europe to $100 billion a year by 2015, and pledged billions in loans to help promote investment in the region. Mr. Wen made the announcement at a gathering in Warsaw that brought together business and political leaders of countries stretching from the Baltics to the Balkans that are eager to do business with China, even as they struggle to overcome stereotypes still held by many in the region who associate the Chinese as makers of inexpensive toys and designer knock-offs. via China Wants More Trade With Central and Eastern Europe – NYTimes.com. China continues to woo everyone. And Mr Wen is making himself very busy in his final year in office. there was a new ingredient in the latest trip: Wen and his delegation have been paying particular attention to green and innovative industries in almost every destination of the seven-day visit, which ends on April 29.
via Wen paints Europe green in 4-nation trip|News|chinadaily.com.cn. This relatively new theme of ‘sustainability’ goes along with strenuous efforts to reduce carbon and increase renewable energy sources. Good for China and good for the world. Business opportunities will emerge from the economic development of China and Russia and both countries will benefit from increasing prosperity and global influence, Vice-Premier Li Keqiang said on Thursday. 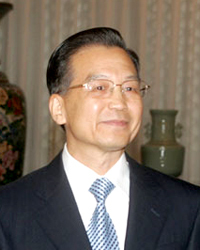 “The two countries are in total agreement on this point,” Li said in a Russian newspaper article. 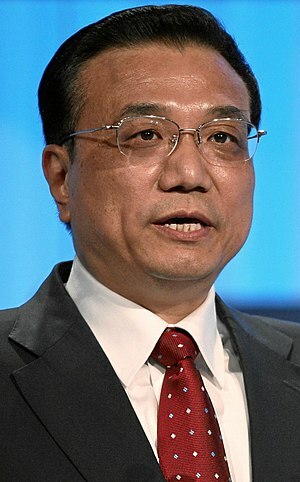 via Chinas vice-premier starts landmark European mission|Politics|chinadaily.com.cn. The wooing continues unabated; Premier Wen visits Iceland, Sweden, Germany and Poland, then VP Li visits Russia, Hungary, Belgium and EU. Collector Alex Paul Menon, Naxals on Friday made fresh demands for the release of nine of their jailed leaders. 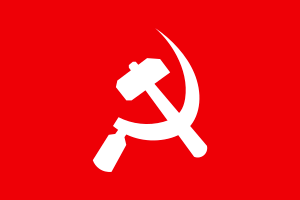 Chief Minister Raman Singh’s Principal Secretary N. Brijendra Kumar on Friday told PTI that the state government has received a fax from Naxals, demanding the release of a total of 17 Maoists. via The Hindu : News / National : Negotiations resume; Maoists make fresh demands. As The Maoists have released the Italian hostages and the legislator in Orissa, signs are hopeful for the situation in Chhattisgarh, though the leadership may not be united.